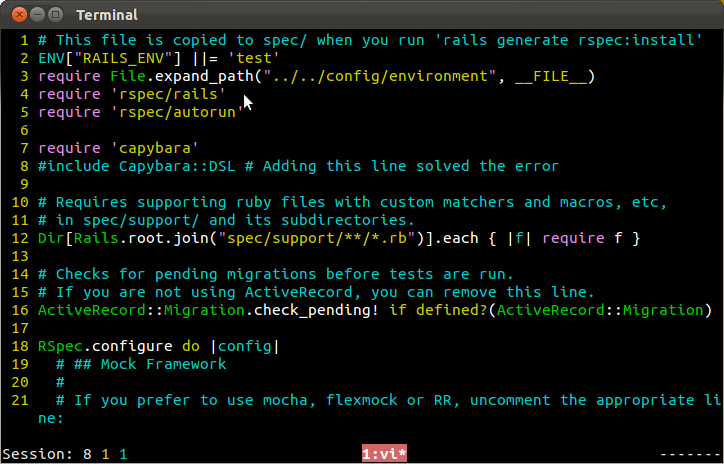 Better colors so comments aren't dark blue in Vim? Currently my comments show as dark blue on black which is really hard to read. How can I change their color? I'm willing to consider different schemas for all colors though I do like the black background as a base. There are many color schemes which are usually distributed together with vim. You can select them with the :color command. I usually use desert. So I open vim, then enter :color desert and enter. To have the color scheme by default every time you open vim, add :color desert into your ~/.vimrc. The colors are then automatically correctly set. Where ABCDEF is an appropriate color hex code. One option I found was in terminal preferences (top menu, not the window). This has profile preferences and then a color tab, e.g. Changing the Palette entry 5 from Dark blue to Light Lilac helped. I finally chose xterm as the color scheme and lightened up the comment color e.g. 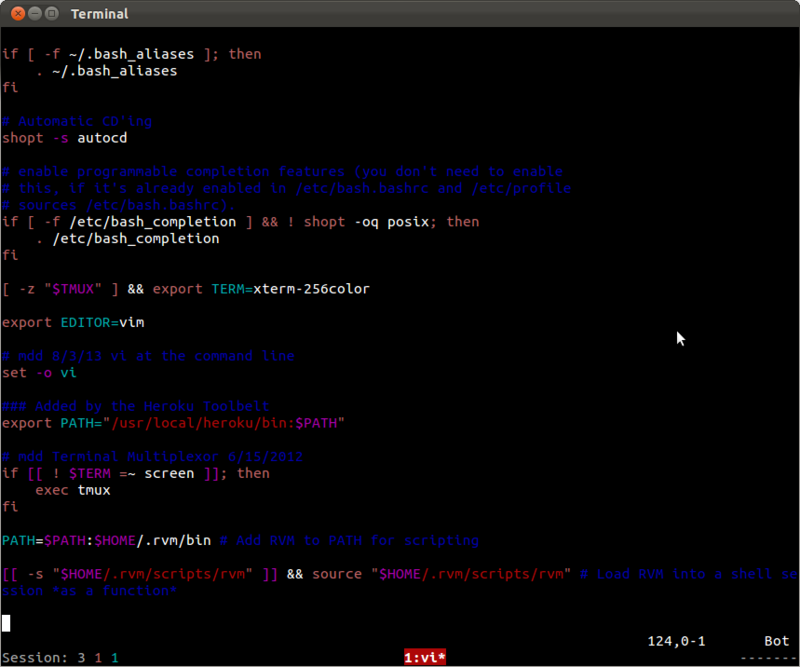 #set vim terminal to 256 colors. in your vimrc file and then you will have light blue comments. I also noticed the screen became somewhat prettier by setting it to 256. 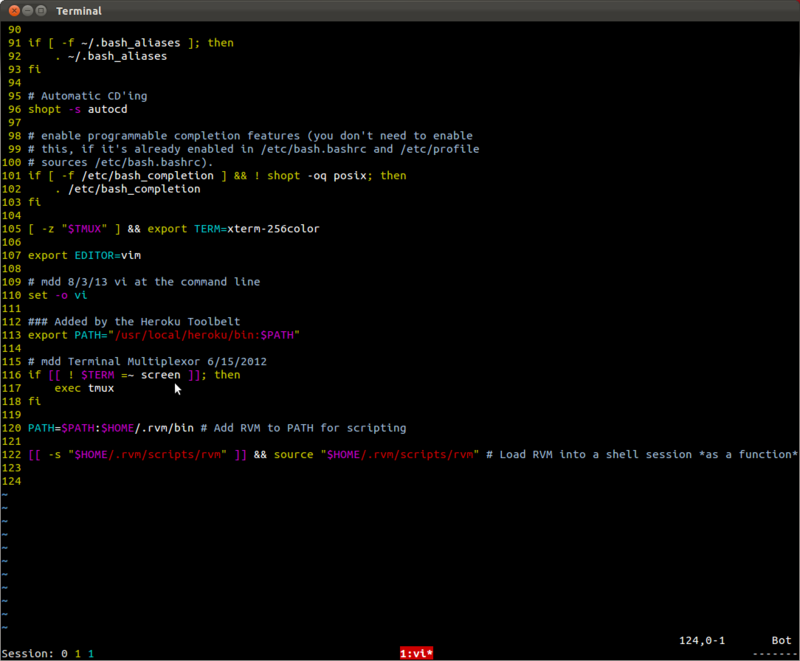 If on a dark background in Debian, then uncommenting set background=dark in /etc/vim/vimrc helps, too. Not the answer you're looking for? Browse other questions tagged vim colors editors color-management or ask your own question. How to change variable color in vim solarized theme? 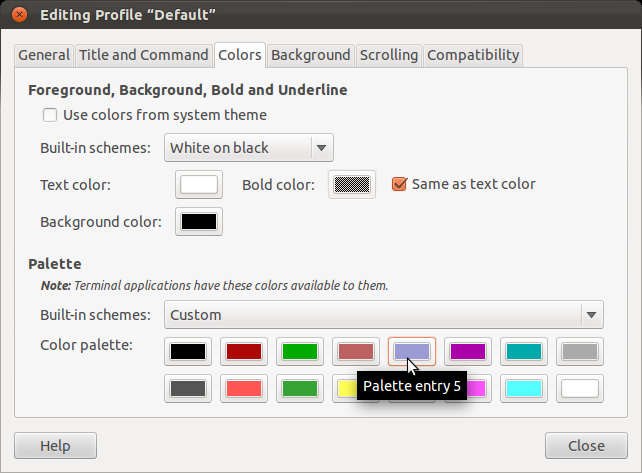 How to change the output color of the ls command in terminal in OS X and iTerm2?